I was in the NMS yesterday and amongst other things I looked at the shrine of the Guthrie bell. 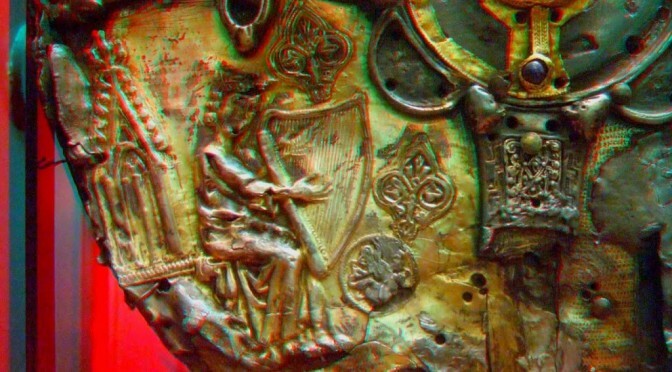 This is a medieval silver confection which encases an early medieval iron bell – no-one seems to know which early saint the bell belonged to, but the silver decoration was made and applied in the West Highlands in mid-late medieval times. 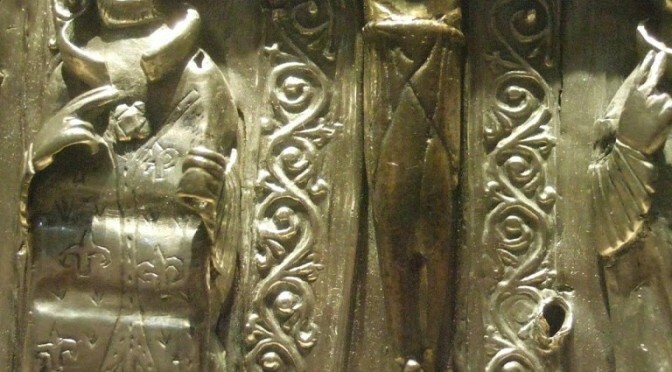 My photo shows a late 15th or early 16th century figure of a West Highland bishop, and beside him some embossed silver panels of decoration which are a good match of the forepillar vines on the Queen Mary harp. 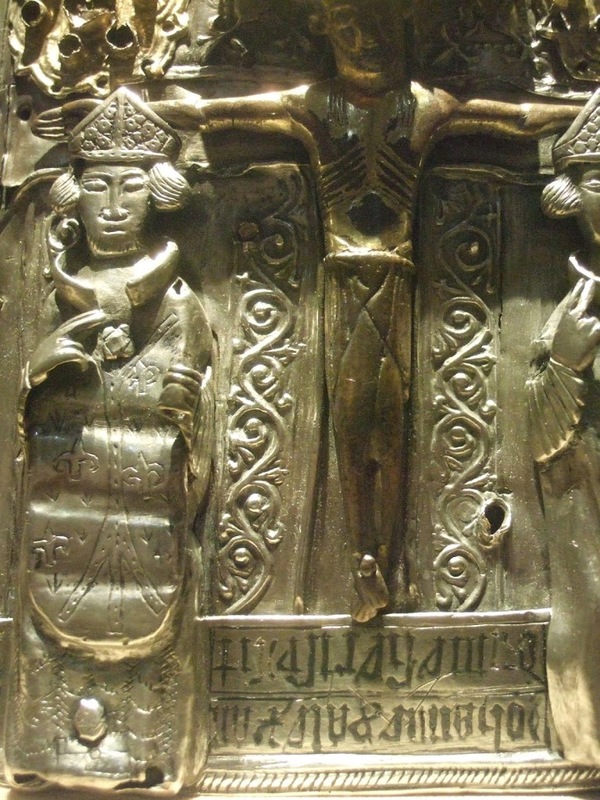 The inscription is upside down and says “Iohannes Alexan/dri me fieri fecit”. I am not sure who John mac Alex was, though these are common manes amongst the Lords of the Isles who are likely patrons for the remodelling of the shrine in the late 15th century. 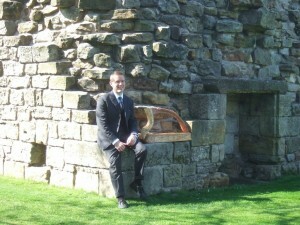 Simon Chadwick is about to start his much-loved annual summer series of medieval harp concerts in St Andrews Cathedral. The first event in the series is a programme of medieval church music from the 12th century. The concert is on Tuesday 5th June, at 12.45pm, in the Priors House, a medieval vaulted chamber in the cathedral grounds in St Andrews. This concert features a programme of sacred music from the medieval heyday of the cathedral, including tunes lifted from St Andrews Cathedral’s own medieval manuscript of sacred chants. There will also be music for St Columba, from Inchcolm abbey in the Firth of Forth. 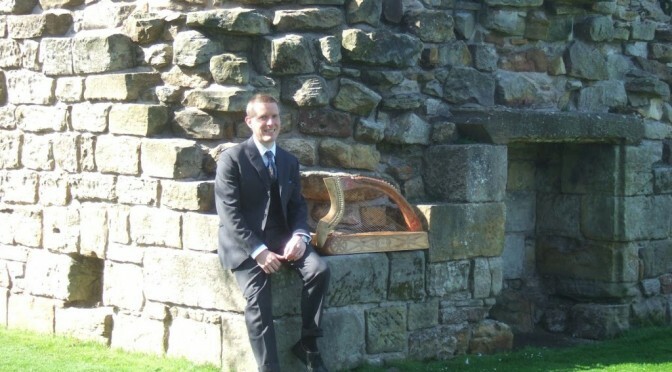 As well as playing the Scottish monastic plainchant on his beautiful decorated replica of the medieval Scottish Queen Mary harp, Simon will demonstrate other unusual musical instruments that were played in medieval Scotland during the half-hour concert. 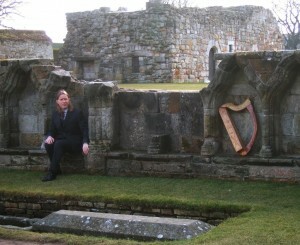 Simon is based in St Andrews, and is a specialist in historical Scottish and Irish music. 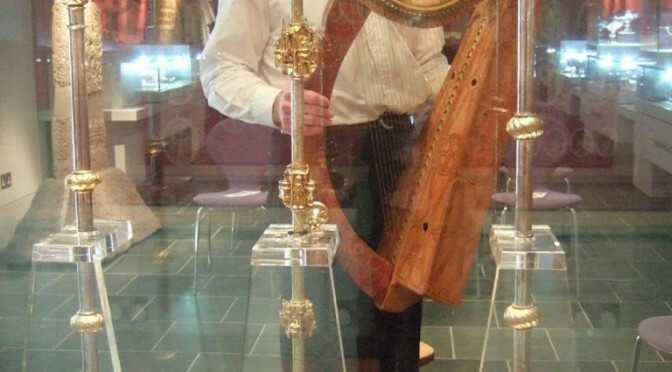 His harp was commissioned from a sculptor in Ireland, and is an exact copy of the medieval harp which is preserved in the National Museum of Scotland in Edinburgh, and which was said to have once belonged to Mary Queen of Scots. 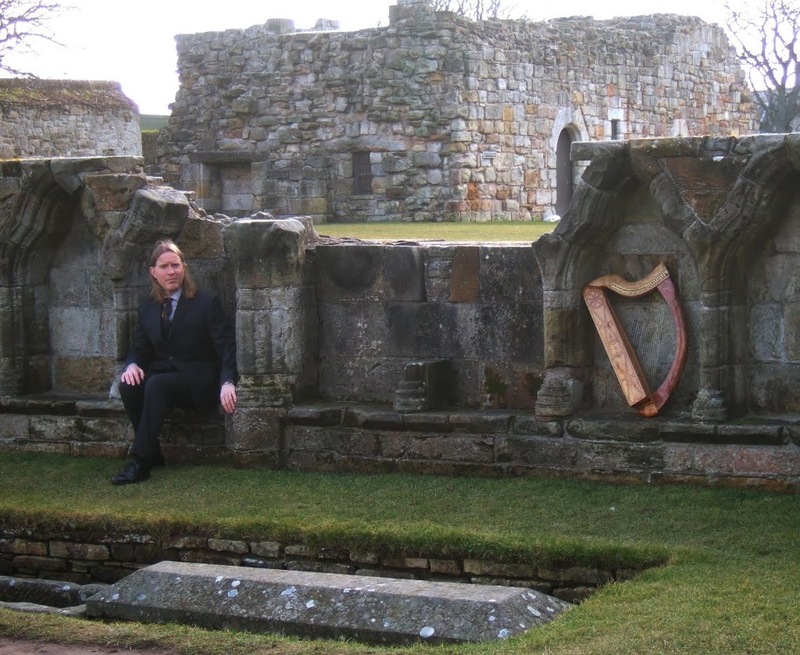 Simon teaches and performs at events across Scotland, and helps run an annual summer school in Ireland for the historic Irish and Scottish harp music. The St Andrews Cathedral concert series will continue on the first Tuesday of each month through to September, with a different theme each month. Click here for full details. July’s programme will use medieval and traditional tunes and song to tell the fascinating story of Margaret of Scotland, her wedding to the King of Norway in 1281, and the dramatic historical events over the following decade culminating in the succession crisis and Robert the Bruce; while August’s recital will present the “Old Gaelic Laments” featured on Simon’s newly released CD. Today at the Harp Class in Dundee, as it is St Patrick’s day, we looked at a medieval hymn to St Patrick from Trinity College Dublin ms.80. happily he passes through the stars. While I had no intention of even looking at Carver’s notorious 19 part mass, I did find a section of his 5 part mass, Fera Pessima, described by D. James Ross (Musick Fyne, p. 46) as being reminiscent of piobaireachd. While I can disagree with the comparison, I found this an acceptable fragment for reducing onto the harp, and so I played it after Henry read the Fotheringhay poem at the Storytelling Centre. I have just received a new book, Aldhelm and Sherbourne – essays to celebrate the founding of the bishopric edited by Katherine Barker and Nicholas Brooks, published by Oxbow Books last year. I ordered this book of conference papers because it includes an audio CD of a performance of one of Aldhelm’s Latin lyrics, the Carmen rythmicum, as performed by a “Finnish rune-singer” accompanied with kantele. Aldhem was a late 7th -early 8th century Anglo Saxon Christian priest in the south-west of England, and the book is an erudite and scholarly series of papers discussing various aspects of his life and work, and especially his connection to the ecclesiastical centre at Sherbourne which he founded in 705. The preface and introduction are quite personal and intimate, and you get the impression that the organisers and scholars in this field are all close friends. The papers vary a lot, from historical and geographical surveys of the region, to detailed linguistic analyses. 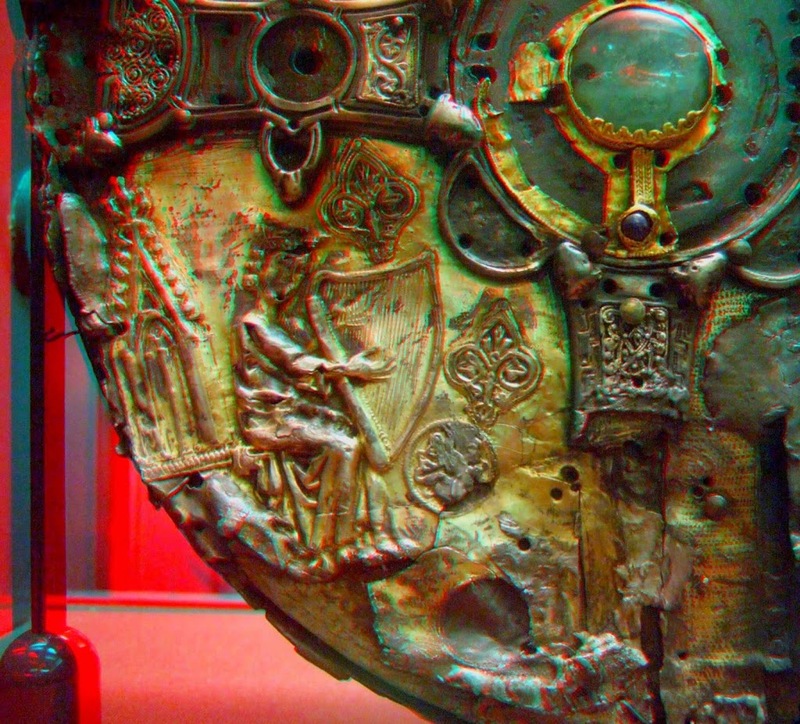 Barbara Yorke’s survey of Aldhelm’s Irish and British connections is especially interesting as a broad overview of cultural connections at this time. David Howlett’s numerological layout of the Latin life of Aldhelm is baffling in its application of number and letter counting and lack of explanation or discussion, and Katherine Barker’s discussion of Aldhelm as composer and author of the Carmen rythmicum is rather too ready to identify Latin musical terms with modern instrument categories (e.g. I would be suspicious of translating Aldhelm’s psalterium with “psaltery” without comment), but is a very thought provoking discussion of musical learning and practice in early medieval times. The audio CD, with a single 35 minute track, is not a live recording of the conference performance, but a later studio version. The two performers are described as Masters students at Sibelius Institute and I found the performance style to be quite modern, much cleaner and more ‘professional’ sounding than the archive recordings of traditional Finnish singers I have heard. The text is in lines of 8 syllables, and the singers use the same even-spaced 8 syllable metre that is used for Kalevala singing, where each syllable is of equal length except for extended final syllables. To my mind this is less successful for the Latin verse, since my understanding of Latin meter is that it is strongly based on the alternation of feet containing long and short syllables. I also hear no trace of the Carmen‘s distinctive three syllable line ending, with the third from last stressed, and the second from last short (described here). The kantele is sometimes strummed, sometimes plucked, and complements the voices well, though some sections seemed a little too contrapunctal for my taste. But, it is still a very interesting project, and the inclusion of the CD makes it almost unique and highly recommended. Also, the way that the book provides not only a complete Latin text of the song but also a number of different translations by different scholars really allows for a rich appreciation of this material. 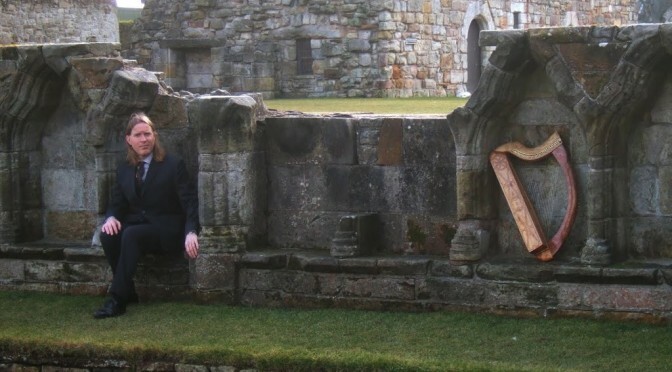 I am kicking off my summer series of medieval harp concerts in St Andrews Cathedral, with a programme of medieval church music from the 12th century. The concert is on Tuesday 7th June, at 12.45pm, in the Priors House, a medieval vaulted chamber in the cathedral grounds in St Andrews. Celebrating 850 years since building work commenced on the cathedral in 1161, this concert features a programme of sacred music from that time, from St Andrews, Inchcolm and further afield. As well as playing the Scottish monastic plainchant on my beautiful decorated replica of the Queen Mary harp, I will demonstrate other unusual medieval Scottish instruments during the half-hour concert. The St Andrews Cathedral concert series will continue on the first Tuesday of each month through to September, with a different theme each month. To follow June’s sacred airs, July will bring ferocious medieval battle music, while August’s recital will present formal elegies and laments. This event is organised by Historic Scotland. Admission is free, but ticketed; tickets can be obtained from the Cathedral visitor centre, tel 01334 472563. 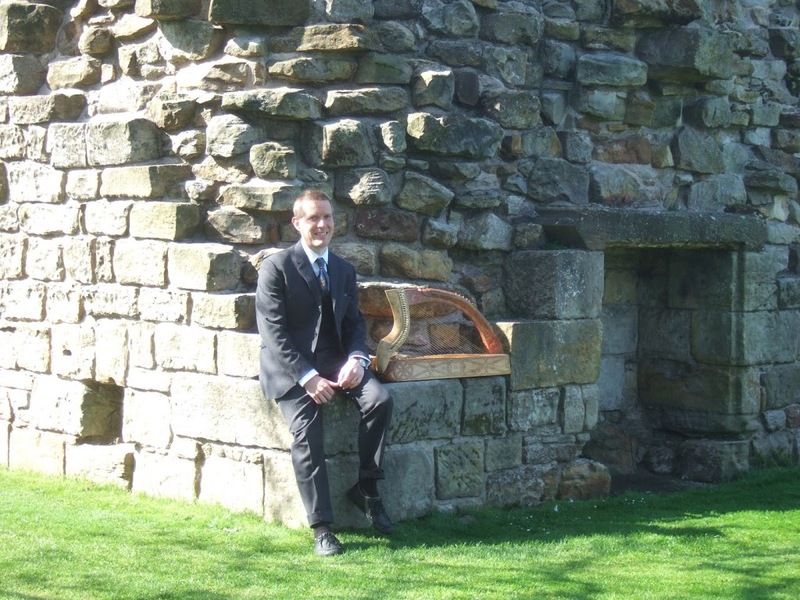 On Tuesday 1st June at 12.45pm, historical harp specialist Simon Chadwick will be playing medieval sacred music in the ruins of St Andrews Cathedral. Using his decorated replica of the medieval Scottish ‘Queen Mary’ harp with gold and silver wire strings, Simon will play music from medieval manuscripts from Fife and beyond. The programme will include repertory from the ‘St Andrews Music Book’ – a medieval manuscript compiled and written in St Andrews in the 13th century, which is now preserved in a library in Germany, as well as tunes from the priory on the Isle of Inchcolm in the Firth of Forth. This event is part of Simon’s summer series of medieval harp concerts in the cathedral. Performed in the Priors House, a medieval vaulted chamber set within the ruins of the Cathedral in St Andrews, the concerts are every month until September. Also featuring examples of religious music from Ireland and Wales, this series brings to life different aspects of ancient and historical Scottish music. The harp Simon uses is a unique replica of the clarsach of Mary Queen of Scots. The 500-year-old original is preserved in a glass case in the National Museum in Edinburgh. 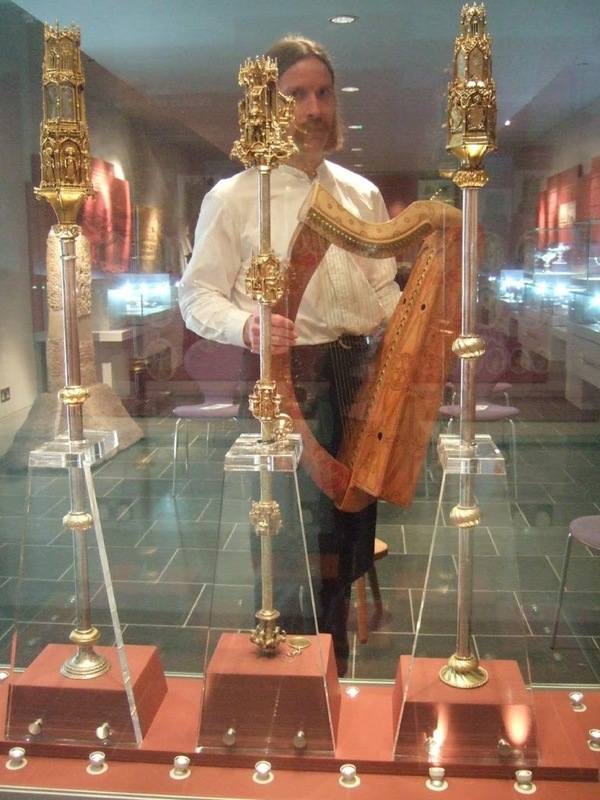 Simon commissioned his replica from Irish harp maker Davy Patton in 2006-7. With its amazing soundbox carved out of a single huge willow log, and its intricate carved and painted decoration, the replica harp is a precious medieval art object that fits very well into the ancient ambience of the cathedral.